So you’ve signed up, got your very first gym membership and you’re ready to head out the door to pump some iron and become and Instagram influencer within the week. There’s only one problem, you don’t have any gym kit. The age-old question of what to wear to the gym can be a bit of a tricky one if you’ve not frequented one before. Everyone says that ‘no-one’s even looking at you anyway’ – but if you turn up in jeans and a polo shirt – then I’ve got some news for you, you will be the centre of attention and not in a good way. 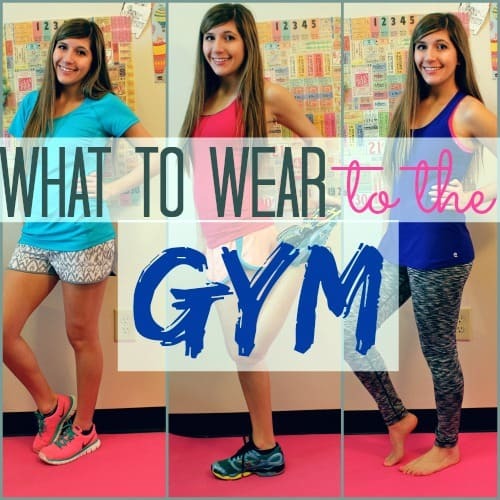 So what should you wear to the gym if you’re just getting started? If you’re a guy and looking to get in shape – you’re going to want to focus on four or five main components to your fitness gym wear. We’re starting off our recommendations with a good pair of joggers. Not only good for the gym but perfect for lounging around in and rocking with a casual tee when there’s no need to dress up. We’re saying that you should stick to the darker colours if you want to avoid suspicious outlines and you’ll be able to use them with way more outfits too. Ever worked out in a regular t-shirt and realised just how sweaty you get? Performance t-shirts stop that by allowing a bit of breathable material, so you’re not constantly absolutely soaked through for the whole workout – which is handy. A selection of performance t-shirts (3-4) is perfect to get you started, so you’ve always got something to rock on your upper half while the others in the wash. If you’re working out in joggers, the chances are that you’re gonna want something else to go on your upper half – for when you’re cold – bless. There’s nothing better than a pullover hoodie to get your gym street cred up through the roof. Extra points if you keep it on during heavy cardio sessions and make yourself into ‘that guy’. Get super hot when you’re working out – or just want to show off your shoulders and arms in the gym? There’s nothing better than a stringer to invest in. With a light material, you’ll no longer have that sweaty t-shirt feeling, in its place you’ll see freedom and mobility with style and practicality. Wear to the gym or around the home but make sure you exude confidence. Self-conscious in a stringer is a no-go. Last but not least we’ve got shorts on our list. Now don’t go and invest in what is basically a man-thong – but instead a basketball style short that’s versatile and inoffensive to the rest of the gym. These can be worn for leg days, cardio or just around the house on a lazy day. Perfect. We’ve covered the guys – so now it’s time to cover the girls, and once again we’re trying to stick to five main essentials that you’ll need if you’re starting in the gym. High-waisted leggings are all the rage and with a range of different style and colours available – they can even be a reflection of your personality (lol so random 😍 ). For your first pair of workout leggings, we’d recommend grabbing a dark colour with versatility in mind. You can pair black with just about anything – but a Star Wars print is pretty one-dimensional. As with the guys, a good pair of joggers will do you well and are an excellent substitute for those days you’re just not feeling yourself in a pair of leggings. Once again you can get high-waisted joggers – if that tickles your fancy – and loads of different fits too. We’re all about the cuffed fit and with a super comfy pair – you really can’t go wrong. Vests, vests, vests. Whether it’s a crop top or racerback – you can’t go wrong and pair with a pair high-waisted leggings, you’ve got a look that’ll style you in the gym and even out of it too for the post-gym smoothie. Choose from vibrant colours to stand out, show your style and bring life to your outfit, especially if you invest in dark-coloured leggings. A performance jacket is the last on our list for our four must-haves for what to wear to the gym for her and for good reasons. Whether you’re out running, training in the cold or even just on the way to the gym – a good jacket can really set the tone of your outfit. Picking a good solid breathable jacket is all you need to make a statement – we can’t recommend enough! Gone are the days when a sports bra is a dull, drab way to strap down on your assets. Sports bra design has come on in leaps and bounds, and now you can find one in every style, shape for every impact, From soft support for yoga to the high-impact bra for intense cardio, this is an item of clothing that is worth spending on for your comfort and confidence.